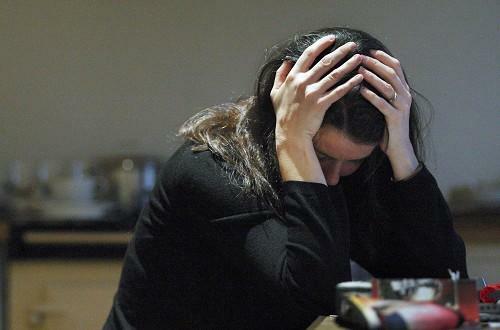 One third of Canadian workers are suffering or have suffered from a mental health condition such as depression or anxiety disorder, says a survey from human resources consultant Morneau Shepell. It also says about 20 per cent of employees surveyed believe people can control whether they become mentally ill, highlighting how out of touch some people still are about the condition. Morneau Shepell says the results underscore the need for employers to better educate their entire staff, not just managers, about the realities of mental illness. "Employers are beginning to understand that mental health is not the concern of a few, but an issue that impacts the workplace overall," stated Morneau Shepell president and CEO Alan Torrie. "There has been tremendous progress in the past few years in many workplaces. But there is still much to be done in our society and long way to go to make all workplaces more psychologically healthy and to encourage people to reach out for the help they need." The survey results were released in conjunction with the third annual Let’s Talk Day on Jan. 28, a Bell initiative that encourages Canadians to address the stigma associated with mental illness. The results say 33 per cent of Canadian respondents reported suffering in the past or present from conditions such as depression, post traumatic stress or anxiety disorder. That percentage is higher than previous studies, which could be due to growing awareness of mental health issues that is helping people better understand their own symptoms. “Very often people have masked mental health issues as other things such as fatigue and pain, and not understanding that those things can be symptoms,” says Paula Allen, vice president, research and integrative solutions at Morneau Shepell. This is particularly true in the workplace, where stress is high. Allen says there’s a difference between “challenge stress,” which is more like adrenaline felt before an important meeting or deadline, and “hindrance stress,” which is more negative and is often the result of conflict or feeling burdened on the job. About 27 per cent of respondents reported experiencing significant symptoms of negative stress at the time the survey was done late last year. One in four employees said the stress illness in the past six months. Among respondents, 58 per cent said stress has hurt their productivity, while 45 per cent considered quitting their job as a result. Allen says employers need to pay closer attention to mental health issues not just for the benefit of employees, but also the potential impact it can have on the bottom line. “There is a clear dollars and sense business case on top of everything else,” says Allen. The survey also show an ongoing stigma around metal health issues, and that employees are tougher on people with mental illness than employers. The results show 19 per cent of employees believe whether someone becomes mentally illness is fully within their control, compared to 12 per cent of employers with the same belief. "Our main message to employers is that … they need to invest in employees in terms of education," says Allen. "Those employers are coworkers of people with mental health issues. If coworkers have a negative attitude .. and aren’t informed then all of the policy and process that you want to do will fall apart because people on the ground don’t understand the basic facts."